Posted by fliere on Monday, October 9, 2017 in Past Events. 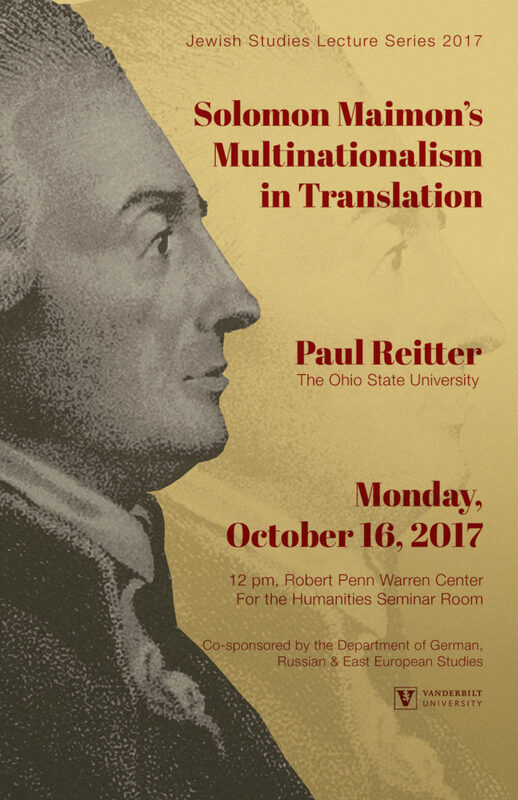 Join us for a lunch talk with Paul Reitter from Ohio State University. Since the publication of Steven Aschheim’s Brothers and Strangers more than three decades ago, the encounter between Eastern and Western European Jews has been of great interest to scholars. 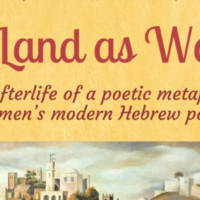 For the most part, however, they have focused on just one aspect of the topic: Western Jews writing about their Eastern “brothers.” This writing, which includes works by Heine, Kafka, and Döblin, is certainly rich. But so is its counterpart, as a number of historians have recently stressed. This talk tries to add to the ongoing attempt to recalibrate our understanding of the East/West encounter by looking closely at Salomon Maimon’s wryly critical and often very trenchant commentary on the “acculturated” Jews of Berlin during the time of the Haskala, a commentary that in various ways reflects both Maimon’s multinational background and what might be called his principled multinationalism. In doing so, the talk reflects on the challenge of rendering Maimon’s observations into English, which is something the presenter has recently done. More precisely, his translation of Maimon’s celebrated autobiography–the first unabridged English edition–will be published in the Spring of 2018.